July 22, 2014 · by Zack Reyes · Post may contain affiliate links. See my disclosure policy here. Printable coupons have not changed much in 2014 as compared to 2013. The values of printable coupons had been dropping for a while, but they seem to have leveled off. This is good news, as the values had been dropping so much that it was becoming difficult to get many items for free after coupons when this used to be a common occurrence. Print Slim Fast coupons and other grocery coupons today! Coupon polices are getting stiffer at many stores. Most stores have stopped allowing two coupon to be used on a buy one get one free sale. This makes sense to me because you are not actually buying the second item, so why should you be able to use a coupon for it? This is indeed a hot topic and one that can be debated to no end with both sides thinking they are in the right. The point is, this practice is being disallowed by many stores. Print Ragu coupons and other money-saving coupons at the link! Price matching has come into the forefront of bargain hunting and can be a nice supplement to printable coupons 2014. Many stores (Walmart, other local grocers) are matching competitor's prices and allowing customers to use coupons on top of those prices. 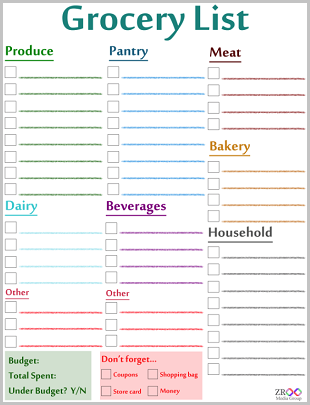 This is a great way to save money using printable coupons in 2014. For the most part, we are still allowed two prints of most printable coupons in 2014. This is done commonly by hitting your browser's back button or going back to the original page where you found the link for the coupon and clicking it again. Where can you find printable coupons in 2014? Printable coupons continue to be abundantly available via companies' websites, Facebook pages. Keep your eyes out for printable coupons wherever you are browsing the web. They show up in ads on other sites, in your email inbox and anywhere else you can think of. Another trend that is coming to a head in 2014 with coupons is "after purchase offers" from companies like Ibotta and Checkout 51. These companies offer coupon savings in the form of post-purchase rebates. The great thing about offers from companies like this is that you can use coupons in conjunction with these offers. This is a great way to double up on your savings. What problems do printable coupons in 2014 face? Coupons in 2014 will continue to remain steady. A big problem that the coupon industry is facing in 2014 is the misuse of coupons. This is why I feel that coupon values are going down. With the rise of Instagram and other social media avenues, people who commit coupon fraud are able to share their "scores" with others and encourage them to do it too. People see a dozen bottles of shampoo and want to do whatever the person says to do to get them. A lot of times, they don't even know that they are being told to commit coupon fraud, they just go along with it because they want some product free or super cheap. The misuse of coupons is what will ultimately bring coupon values down. When companies see profits fall and coupons being improperly redeemed, they will pull back on coupon values. Let's hope the printable coupons of 2014 stay steady and here's to more saving!